Dr Santini was chair of the Chicago Chapter of the International Association of Energy Economists from 1985-86. He served as chair of the Alternative Fuels Committee of the National Research Council’s Transportation Research Board from 1996-2002. Since May of 2001 Dr. Santini has been one of the Department of Energy’s technical representatives for the U.S. to the International Energy Agency Implementing Agreement on Electric and Hybrid Vehicles. He became Senior Economist in 2003. From 2003 to 2006 he was a member of the American Transportation Research Institute’s Research Advisory Committee. He was a member of the Transportation Research Board’s Committee on Land Use, Vehicle Miles of Travel, and Energy from 2008 to 2009. 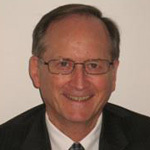 Dr. Santini has authored, co-authored or edited about 200 articles, reports, and conference papers.